I was so sick of Girl books a while back I refused to read any for a whole year. And while I have softened a little since then seeing Girl in a title still makes me grit my teeth. So I approached THE GIRL WHO WAS TAKEN warily but soon discovered it is not one of the psycho-babble filled tomes attempting to ride the coattails of its best-selling forebears. Frankly I’d prefer a different title but the content is solid. There are actually two girls who are taken though neither is really the central focus of this story. Megan McDonald and Nicole Cutty are in the final summer between high school and college when they disappear from their small North Carolina town on the same night. Two weeks later Megan escapes to much public fanfare and private turmoil. 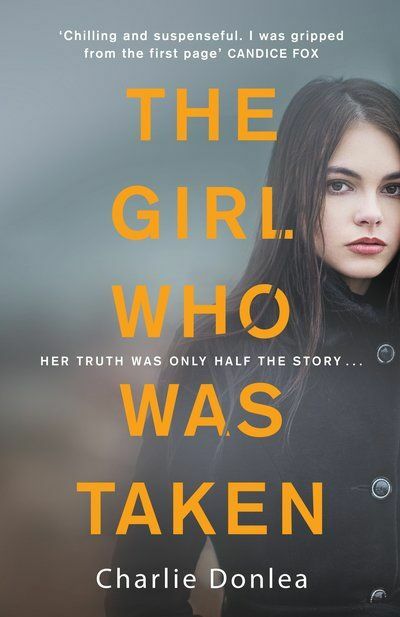 Part of the book is told from Megan’s perspective starting a year after her abduction when she is trying to at least give the appearance that she has returned to ‘normal’. Another part of the story is told from the point of view of Nicole’s older sister Livia. The real star of the book. She is beginning her Fellowship year as a forensic pathologist. She wants to be the kind of doctor who would be able to help if her sister is ever found. And until then she’ll help others. Because that might just help ease the guilt she feels for not answering her sister’s phone call the night she disappeared. There are also some flashback threads that let us see how things were just prior to the abduction. And, my least favourite thing in crime fiction, some passages from the killer’s point of view. The real strength of THE GIRL WHO WAS TAKEN is its characters. All three of the young women at the centre of events are well drawn and much more nuanced than the blurb might have the reader expecting. Each is something of a jumbled mix of character traits which is entirely believable and each garners more sympathy as the book progresses, even when we discover some unpleasant things about them. They feel like very real people. And Livia’s life as a pathologist-in-training is fascinating. The story too is well constructed and, for the most part, very believable. Donlea does a good job of doling out the facts and the suspicions; keeping readers in just the right amount of suspense. There are multiple characters who might be the culprit but the book never overtly points them out. My overactive imagination did that. I also liked the way Livia is drawn into a more active role in the investigation of her sister’s disappearance via the appearance of a young man’s dead body in her autopsy room. Involving amateurs and/or family in official investigations can appear very clunky but Donlea handles it well and makes it very plausible. The only element that didn’t entirely ring true for me was the resolution. Neither the ‘who’ nor the ‘how’ felt as real as the rest of the book for me though I’m not sure I can pinpoint exactly why. Partly I think it’s the feeling that the book had gone out of its way to make the end shock at all costs, even at the expense of credibility. And partly because the killer did not feel nearly as realistic as the other characters and their role as the town’s resident sicko seems to come out of left field. Having chosen this book primarily for its setting (I’d not yet visited North Carolina on my virtual tour around the USA and don’t know anything much about the state myself) I can’t really comment on how well the book shows off the state as a whole. But it does offer a good depiction of small town town life in which most people at least know of each other and, mainly via Livia’s work, shows how interconnected some of the smaller US states must be. Overall then I was impressed with THE GIRL WHO WAS TAKEN even if I thought the killer’s point of view a bit lame and their identity implausible. The rest of the book more than made up for this in offering a complex and compelling mix of characters and suspense. This is the 22nd book I’m including in my quest to complete the Reading USA Fiction Challenge in which I’m aiming to read a total of 51 books, one set in each of the USA (and one for the District of Columbia). My personal twist is that all the books are by new (to me) authors. This entry was posted in book review, Charlie Donlea, USA. Bookmark the permalink. I’m very glad you liked this more than you thought you might, Bernadette. I have to be honest; the title put me off. But I do like stories where the characters are multidimensional, even we don’t like all of the dimensions (maybe even more if that’s the case). And it sounds like the plot doesn’t get too bogged down. Sounds good. (sigh) Impossible lists here.